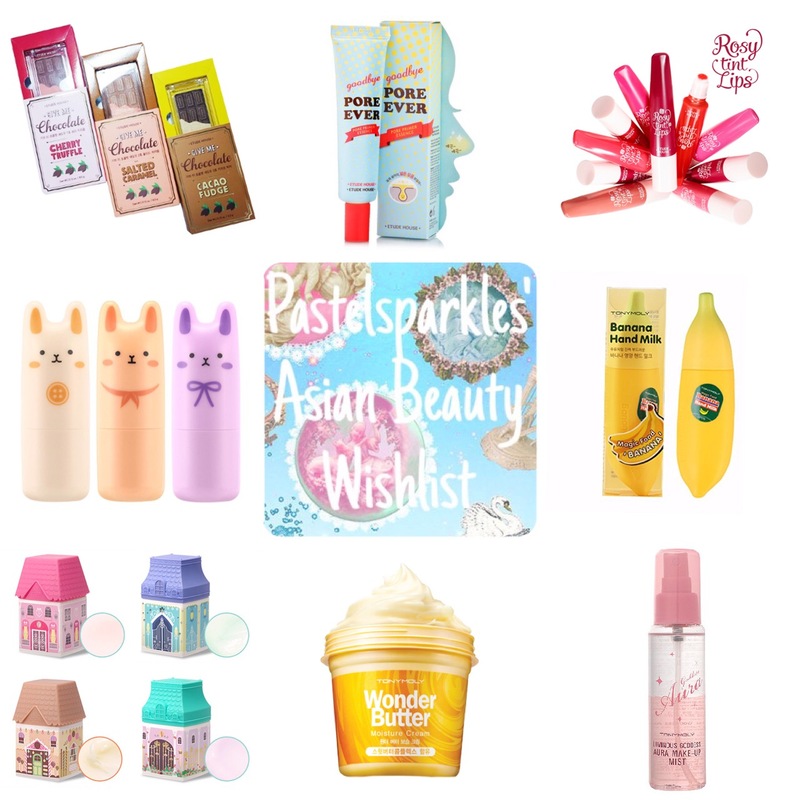 Its been a while since I’ve bought any new Asian beauty products so I thought I’d share with you what I’ve been lusting after and if you could recommend me anything else, I’d love to see it! I believe that this collection was limited edition, like the Princess Happy Ending collection. I love anything food related and as soon as I saw these, I wanted them. The only issue is that the packaging for this product is way bigger than the product but packaging is half the reason we buy anything, right? I have two of these on the way to my house, Cherry Truffle and Cacao Fudge. I’ve been wanting a new primer for a while and a lot of bloggers have compared this one to the Benefit Porefessional. I’m still yet to test this out myself. I’ve had a love/hate relationship with Etude House lip products because the packaging is so cute but so many of the colours are on the warmer side or have a white base so when I’ve bought them, I’ve found I don’t suit the colours. This range has some really pretty colours that I know I could pull off and they are supposed to have a velvet matte finish. I’d love to get my hands on a few of these! I’ve read the notes to all of the perfumes and I think I like all of them but I’d really like to smell one in person so that I know what I’m getting into haha. They’re super cute and they’re not badly priced. These are the cutest little hand creams. I’ve been looking for a new one to carry in my hand bag and this is the perfect size for it. I’ve been having a lot of trouble with my skin and I’ve been trying a lot of products out and I’d like to try this next! I’ve been looking for awesome setting sprays/makeup mists and I’ve heard a lot of good things about this one. I’ve been wanting my makeup to look smoother and more glowy and that’s what this makeup mist claims to do!